A new EU-funded, robot technology transfer partnership is looking to help manufacturing and robotics companies with robot consultancy, networking, and funding. Four knowledge institutes across Europe — the Danish Technological Institute (DK), Fraunhofer IPA (DE), Tecnalia (ES), and the Manufacturing Technology Centre (UK) — have teamed up to offer highly qualified consulting services at no cost to companies that either want to use robot technology in their production or want to develop new robot technology to sell. This initiative is ROBOTT-NET. The initiative will combine European competencies in state-of-the-art applied robotics, and enable companies to benefit from Danish, German, Spanish and British expertise. ROBOTT-NET is not only about technological advances, but also about developing solid business cases, arranging contacts with relevant investors, and so on. The complete package is needed if we are to improve production, bring new ideas to market, and increase competitiveness. European companies wishing to use or produce robots are invited to apply for a voucher, that can be exchanged for approximately 400 hours of consultancy at four partner locations. Of the 64 winning companies, eight will later be selected to receive follow-on development aid worth more than €150,000, plus, 3,500 consulting hours from the four partners. Anyone with a concrete idea, challenge or development related to industrial robotics or service robots can apply for support in ROBOTT-NET. Large manufacturing companies, garage start-ups, and everything in between qualify. ROBOTT-NET has already set sail with four Open Lab events across Europe with four more to follow in autumn. Stay tuned at www.robott-net.eu. 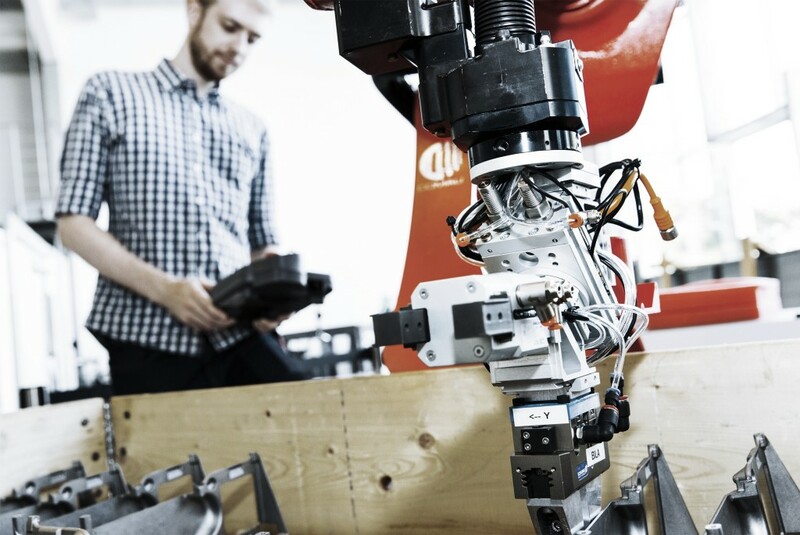 At these events, you can hear more about how your company can become part of ROBOTT-NET and also see some of today’s most cutting-edge industrial robot technologies that are being developed in the European robotics labs. You can also apply for a voucher through our website.